I am used to explaining what exactly the Rachel Carson Center is, and what my work there involves, but I don’t usually have to do it to a room full of five and six-year-olds. 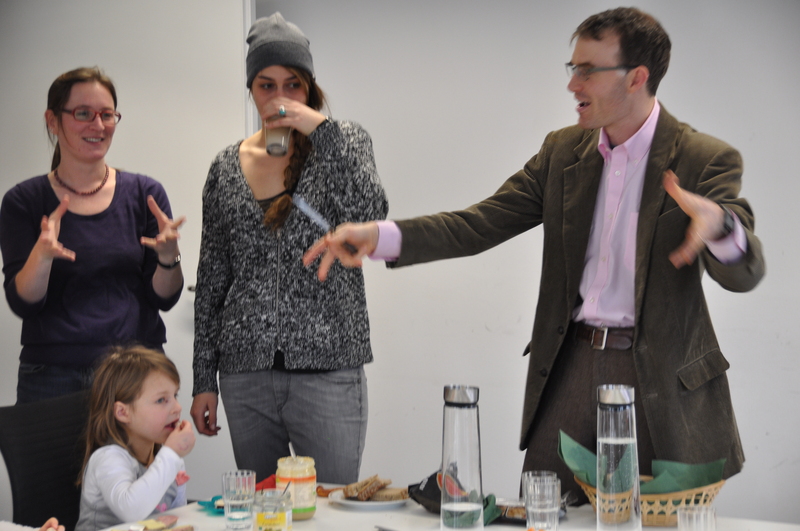 However, I was pleasantly surprised to realize that it’s actually much easier to explain the workings of a research institute to a kindergarten class than it is to most adults. Kids are natural researchers and the pursuit of knowledge is an entirely logical one from their point of view. Moreover, they don’t worry much about what things actually cost – the idea of having visiting fellows from all over the world living and working in Munich in order to share their research was one they seemed to grasp with no trouble at all, presumably since they weren’t busy working out who is footing the bill and in whose national or international interest this could possibly be. So for once, there was no need to launch into a spirited defence of the humanities in our pragmatic solution-defined knowledge economy. 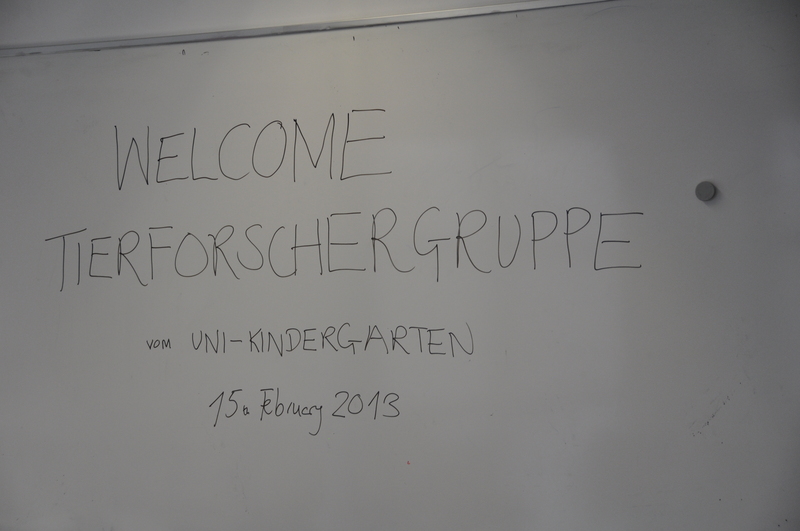 The five and six-year-olds in question were the “Tierforschergruppe” class from the neighbouring kindergarten, the German preschool institution for 3-6 year olds. The word Tierforscher means “wildlife explorers” and was the name the kids chose for themselves in their second year. In this year, their final year of kindergarten, the children have been busy getting to know their home environment of Munich, going on excursions to local museums, and visiting each other’s houses. Their visit to the Rachel Carson Center was an extension of this: they were visiting the workplace of two of the kindergarten parents, and forming a picture of what people they know actually do when they “go to work.” Besides RCC staff, the children were lucky to see two real-life researchers who popped in to say hello – Andrea Kiss, who spoke Hungarian to the group, and Eva Jakobsson, who spoke Swedish and whose reference to one “Pippi Langstrump” was a cultural ice-breaker. 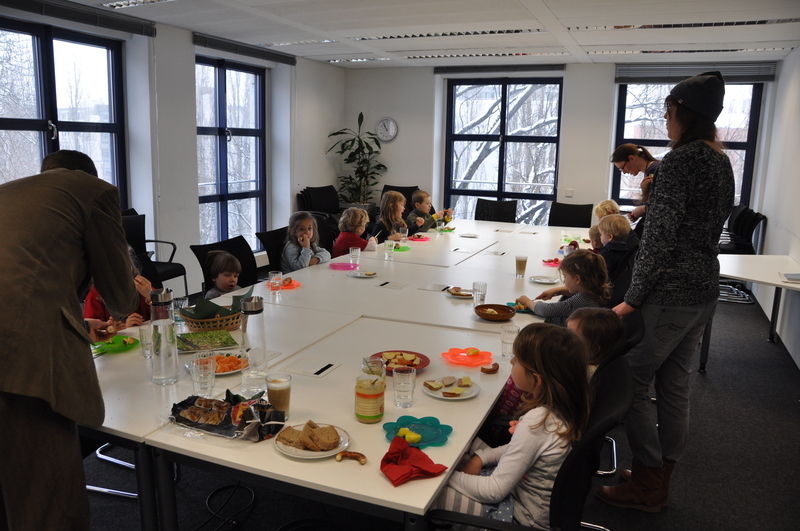 The children ate their snack in the RCC conference room and as they finished, their teacher opened a book to ask the children some questions about volcanoes. What was a volcano, did anyone know? Some of the children had an idea – it was stone that was very very old, or had fire inside. But it could also have snow on top, or even be completely underwater. The liquid that comes out of the top is lava and is very hot, and it comes from somewhere deep inside the earth. Their teacher explained that it was like a hole in a burst balloon, with all of the contents rushing out of one small opening with a lot of force. After their snack, they looked at the exhibition of volcano photography by Richard Roscoe that has been decorating the RCC corridors since December 2012. The children were additionally impressed by the board in the hall that records whether fellows and staff are “in” or “out” – since it was clear to them that the ones who were “out” were conducting fieldwork at volcano sites. The children returned to their kindergarten and the researchers back to their desks; peace and quiet returned again to the RCC. I hope that the children learnt something from the volcano pictures, and from their brush with the research world. I definitely learned something, and that is that six-year-olds are interested in everything, and that they really don’t need any kind of lengthy justification for what we do here. Books, words, drawings, photos, stories, languages – all are fascinating, and who wouldn’t want to spend their time finding out more? To them, that’s the obvious bit. I suspect that some of them even think that a career in humanities research is exciting and glamorous. I hope we can invite them back.